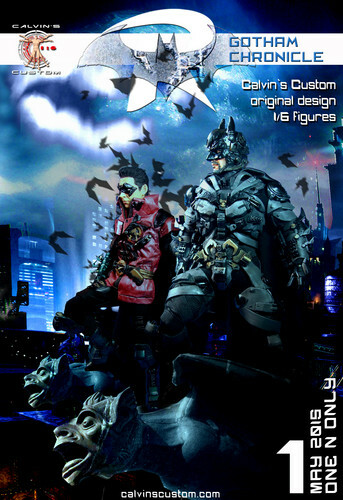 Calvin's Custom 1/6 One Sixth Scale Gotham Chronicle: Бэтмен. Calvin's Custom 1/6 One Sixth Scale Gotham Chronicle: Бэтмен. HD Wallpaper and background images in the Бэтмен club tagged: photo calvin's custom calvinscustom one sixth 16 gotham riddler batman joker custom figure customizer calvin lo calvinlo d.c.comics dark knight. This Бэтмен photo contains аниме, комиксы, манга, анимационные фильмы, комикс, мультфильм, and книга комиксов. Catwoman on "The Храбрая сердцем and the Bold"